Coleslaw is an essential summer treat, but most versions are full of sugar and therefore far from friendly for low-carb diets. The recipe below, however, features homemade mayonnaise and no added sugar, making it much lower in carbs than the original. The slight piquant from fresh radishes is a welcome addition too. This salad is best when made a little bit in advance, to allow the flavors to meld. Consider making it the night before your gathering so that the dressing can wilt the cabbage and give it the perfect texture. If you don't have time to make it the night before, make sure you combine the ingredients at least 15 minutes before serving. 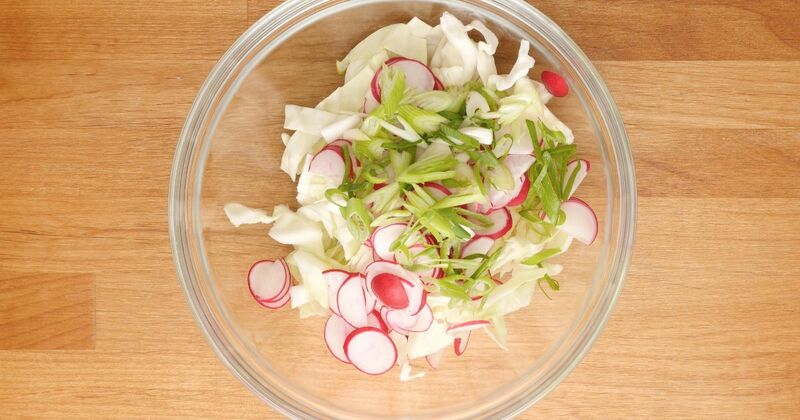 Combine the cabbage, radishes and scallion in a large bowl. 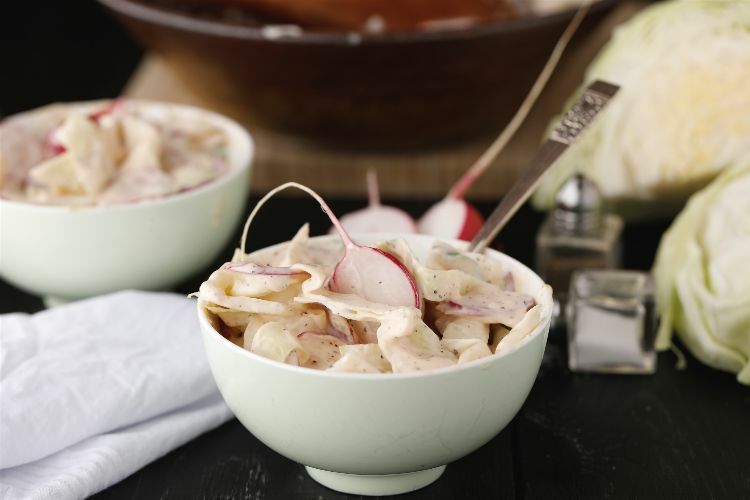 In a smaller bowl, whisk together the mayonnaise, sour cream, cider vinegar, Dijon mustard, garlic salt and pepper. Pour the dressing over the cabbage and mix well to coat.